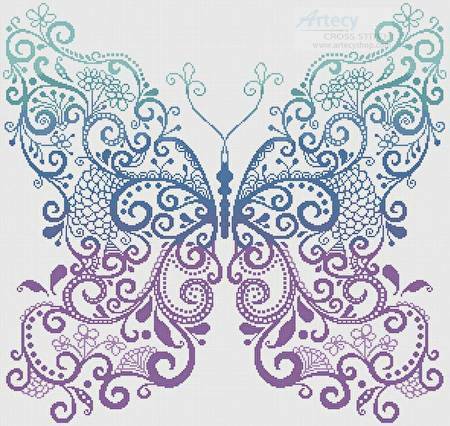 Purple Blue Green Butterfly cross stitch pattern... This counted cross stitch pattern of an artistic lace, Purple Blue Green Butterfly was created from artwork copyright of Olga Drozd - Vectorstock. Only full cross stitches are used in this pattern.